We at Lara Letting are experienced professionals whom pride ourselves in providing help and accurate advice, enabling our clients to get the best return from their property investment. Let us make the process easy for you. 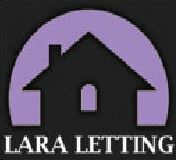 You should contact Lara Letting as soon as possible to get your property advertised. The key to successful letting is getting good reliable tenants. If there is a mortgage secured on the property to be let you must get approval from your lender. You may have to switch to a buy to let mortgage or similar. Instruct an accredited company to provide an energy performance certificate(E.P.C). Register with the appropriate local council as an Landlord. If there is Gas then you require to have an annual safety certificate. Instruct a qualified Electrician to inspect fixed installations and wiring (5 years) and all electrical appliances should be tested for safety (Annually). Compile a comprehensive inventory to include all Furnishings, Electrical appliances, Window dressings and all other moveble items. Inform the Gas, TV, Electric and the post office of your forwarding address and ensure that final readings are taken. You should then keep records of income and expenditure for your property to enable you to minimise the amount of income tax that is due from your rental income.